Big artists call for big venues, which isn't the first thing that comes to mind when you think of church concerts. 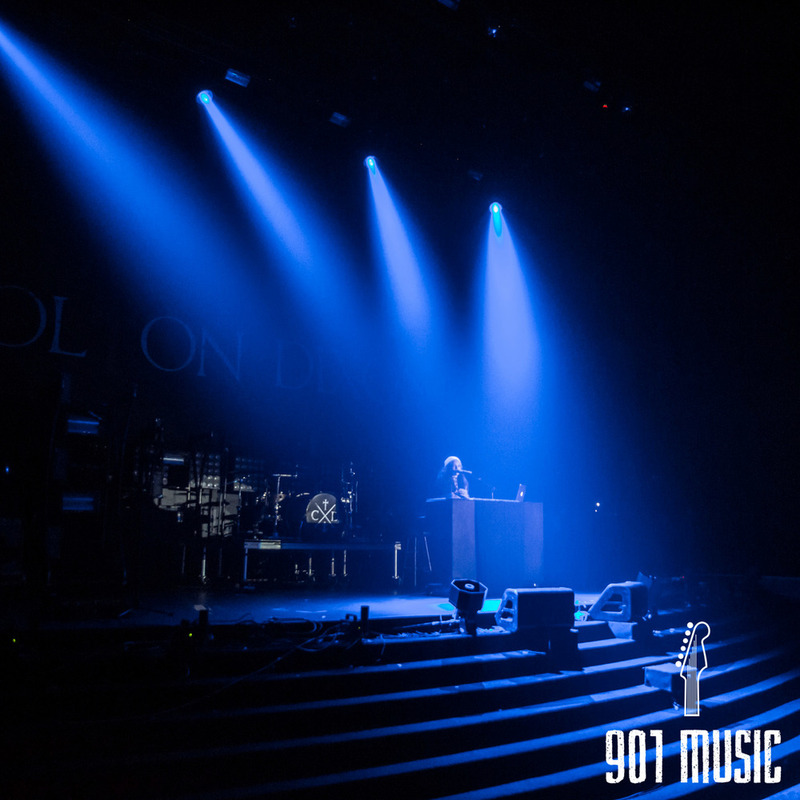 But, the stage at Hope Presbyterian Church in Memphis provided more than enough room for the big names performing on Thursday night. 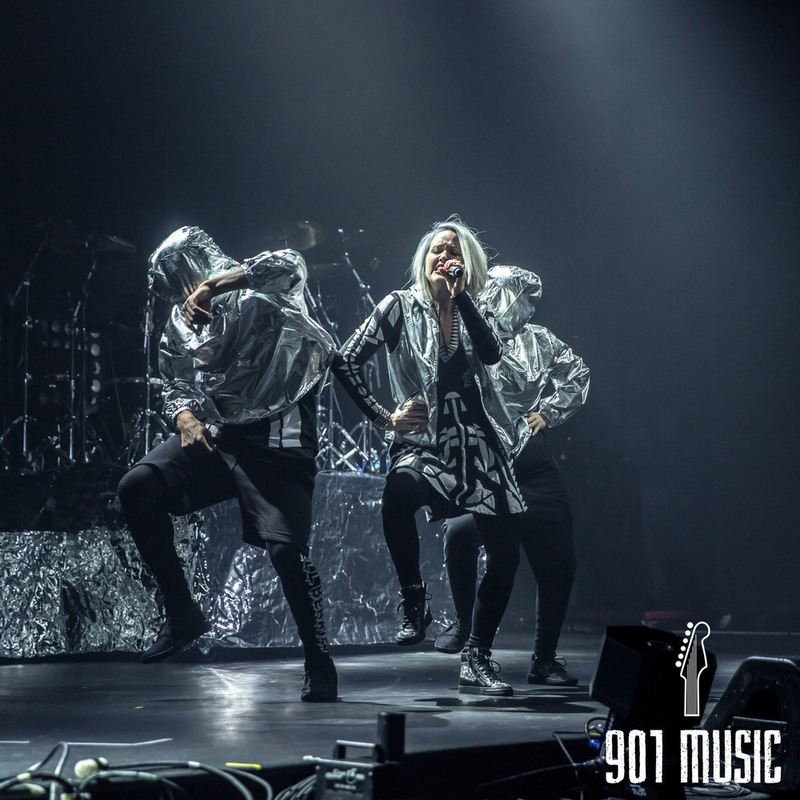 It was the first stop of the tour for TobyMac and Britt Nicole, and it was obvious the bands came out refreshed and ready to perform. The opening acts put on great performances, the first of which was young artist Hollyn, an 18 year old singer/songwriter from Franklin, TN. 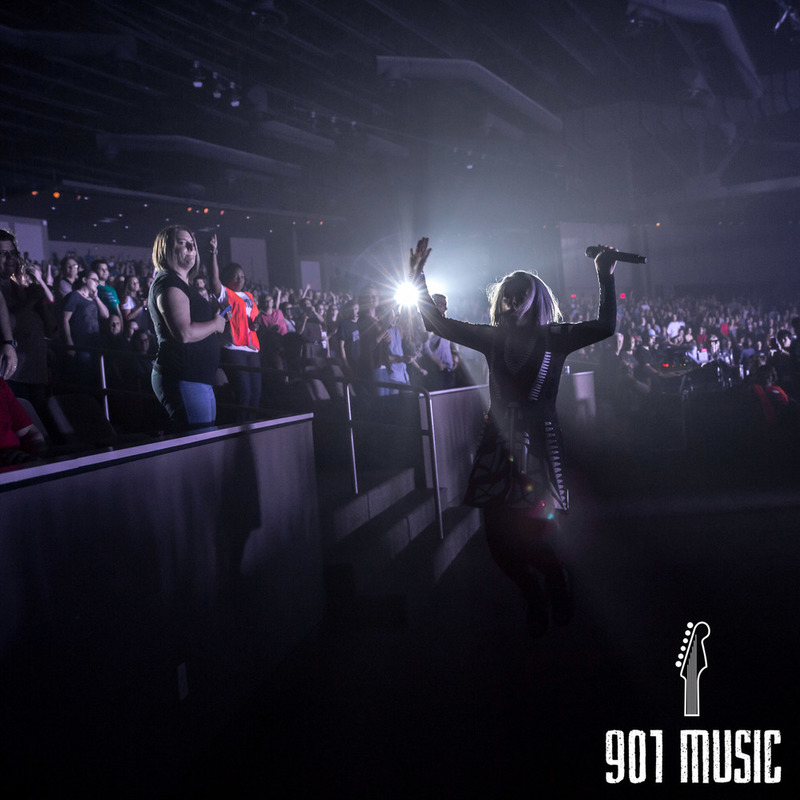 Hollyn is new to TobyMac's record label and performed her own rendition of Lecrae's "All I Need is You." 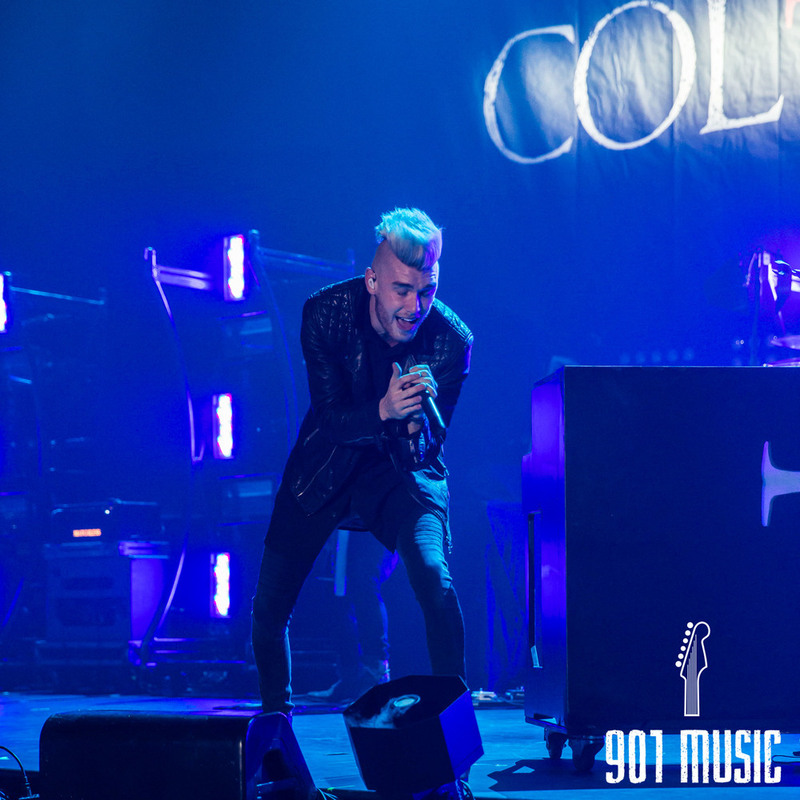 That was all, though, as Hollyn exited the stage and made room for next artist, Colton Dixon. Dixon, the 2012 American Idol star, performed his hits, "Our Tie is Now," and "More of You," as he took control of the stage and set the tone for the night. 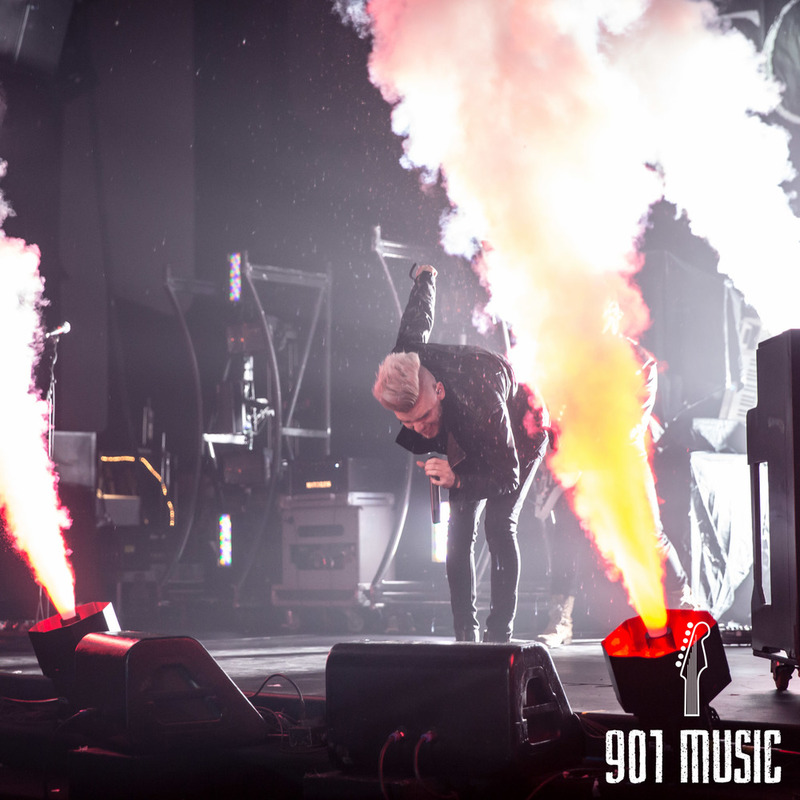 The Murfreesboro rocker lit up the stage with a compelling smoke show set to the beat of his songs. 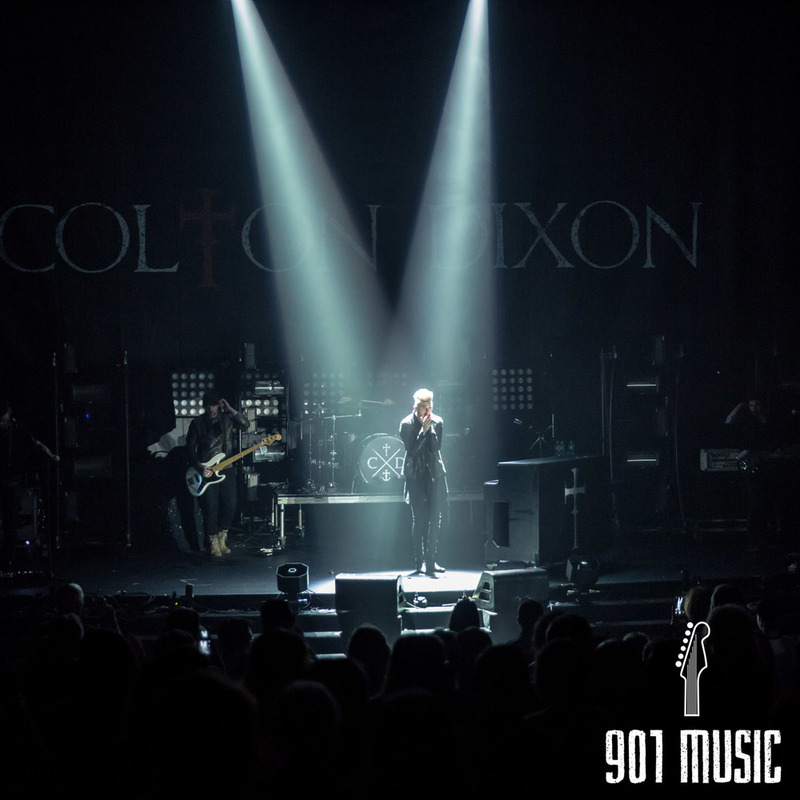 Before exiting the stage, Dixon performed, "In and Out of Time," an obvious crowd favorite as the chorus echoed from the audience. In typical rockstar fashion, Dixon broke the song down, playing a sludgy, almost metal, version of his original hit. 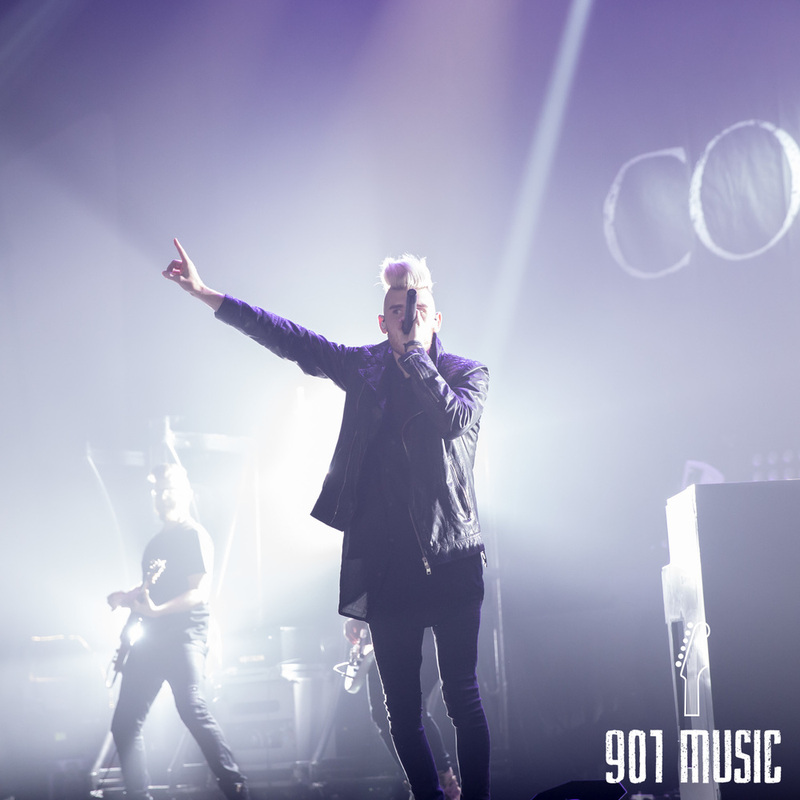 As he left the stage, TobyMac drummer B Holy took the stage and provided the crowd with a brief sermon, speaking to the crowd the importance of unity and fellowship, and urging them to stand together, setting the stage for North Carolina pop star, Britt Nicole. 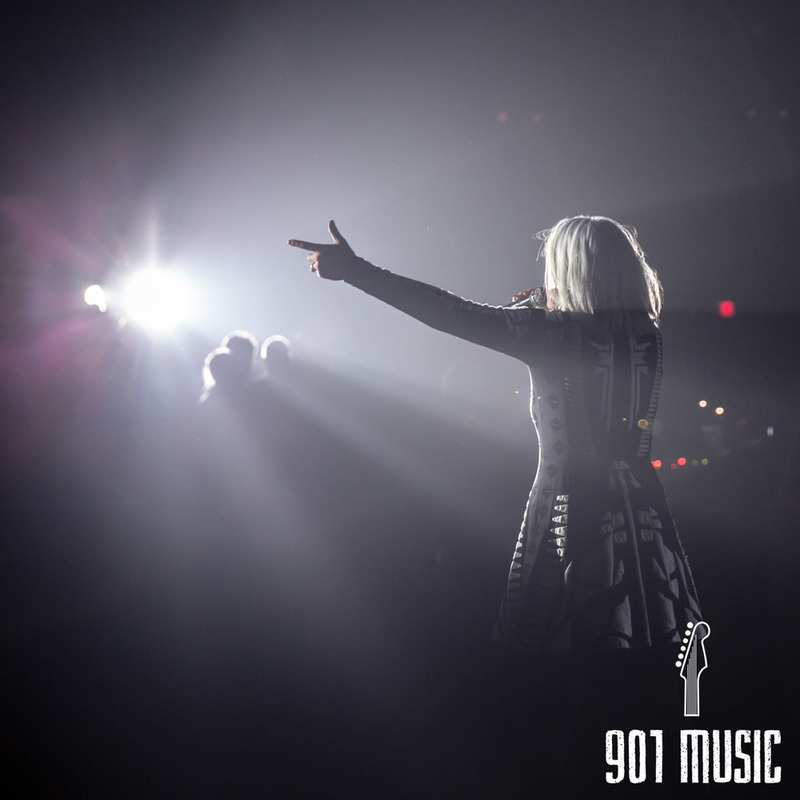 As the Capitol Records superstar took the stage, she took it in style. Accompanied by her two backup dancers, the three were clothed head to toe in platinum garb. The two dancers were wearing daft punk-esque helmets as the mimicked the movements of Britt. Performing her hit, "Heart of Stone," the singer danced underneath a multitude of colors, as the headlights alternated between purple, blue and red. Britt also played her songs, "Ready or Not," and "Son is Rising," with a guitar solo snuck in between. Making sure to stay in touch with her fans, Britt took a stroll through the crowd and interacted with audience members. She took selfies with fans, gave hugs, and even danced with them, all while keeping the song together and continuing her performance. Her set ended with her mega-hit, "Gold," and the hue of the lights suddenly transformed to gold as they illuminated the room. This was the most known song for crowd-members, so as you can expect the band gave it all the had. Finally, the man of the night, TobyMac took the stage after another brief intermission. Hidden behind curtains, TobyMac appeared as just a shadow as he performed "Till the Day I Die,". 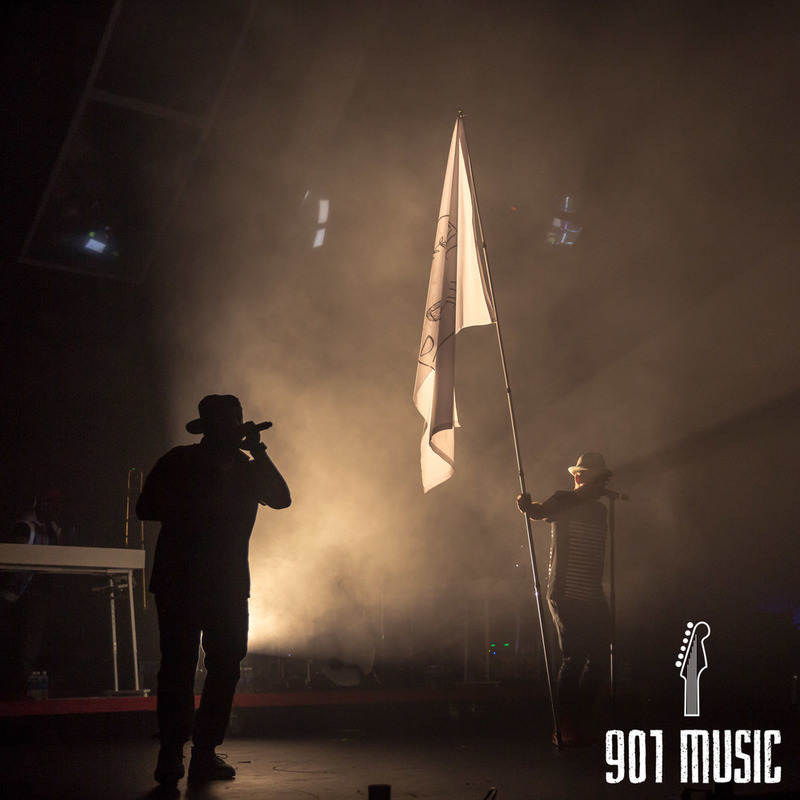 Once the song picked up, the curtains pulled back, revealing the entire band along with the unsheathed TobyMac waving a 10 foot flag embroidered with the song title. Immediately the energy was high. It was similar to a fight song that a high school band would play. Everyone in the place felt like they could take on anything and it was apparent that the night had just been kicked into high gear. 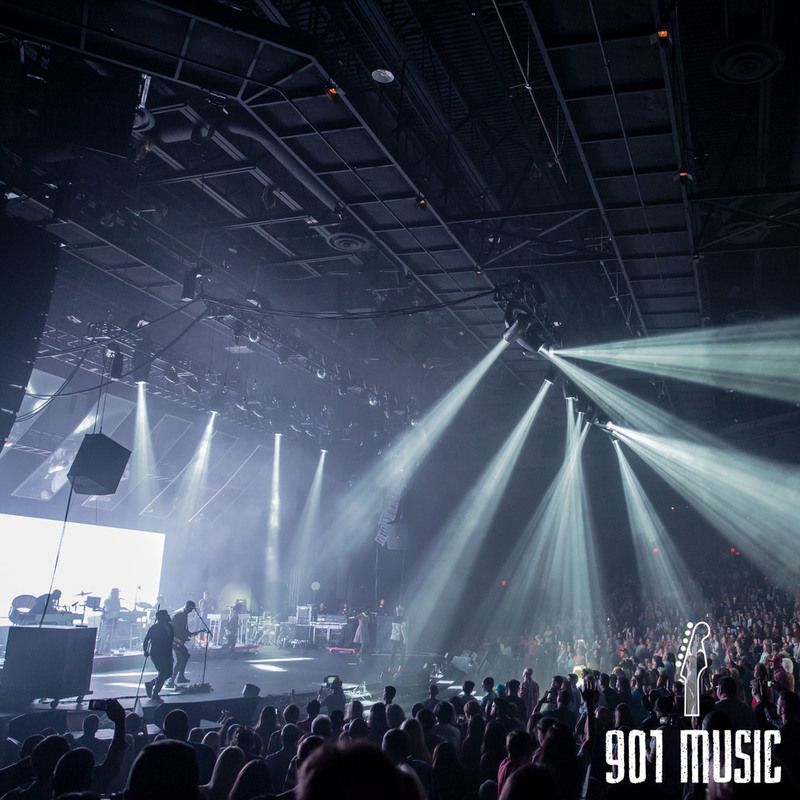 After his first song, TobyMac then performed his original, "This is Not a Drill," the namesake of the tour. Behind the band was an enormous video screen that displayed themes for every song, which was really cool. 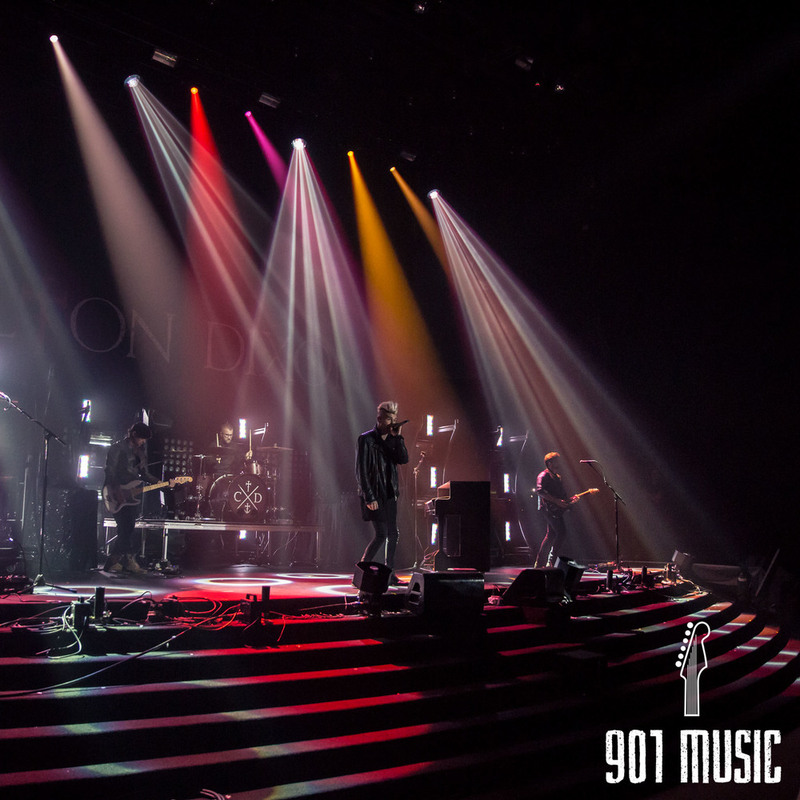 It gave the songs a more personal feel and allowed the audience to see what inspired each song and kind of tap into TobyMac's mind. As the night went on the energy continued to build, and came to a peak during the song, "Eye On It." 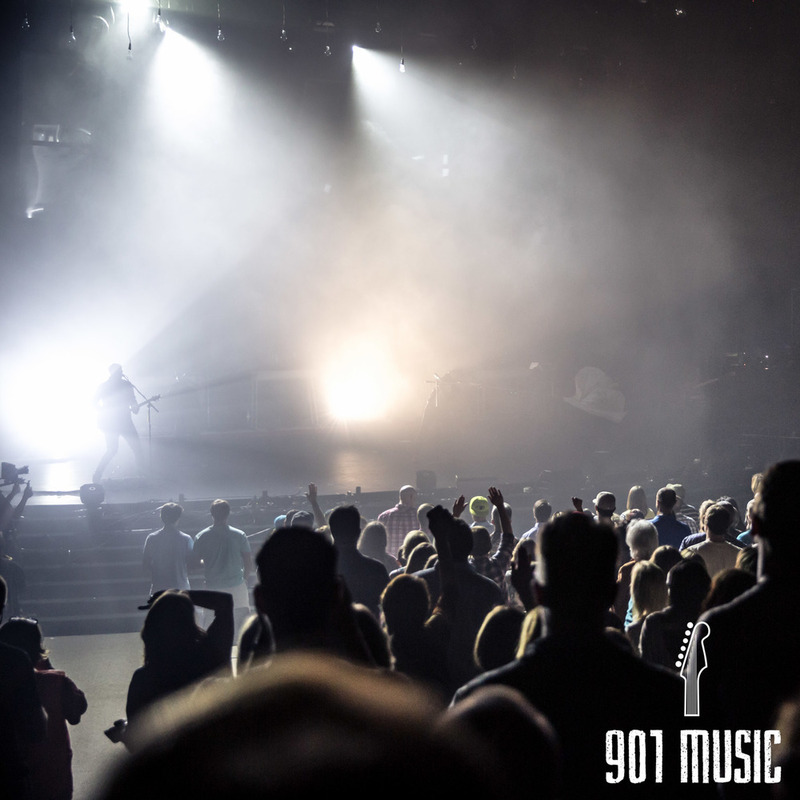 It wasn't until "Steal My Show," that TobyMac slowed the momentum, as he went acoustic and pulled a Britt Nicole, waltzing through the crowd, transforming fans into friends. iPhone flashlights lit up the crowd as the song went on and a thunderous applause concluded the end of the intimate performance. 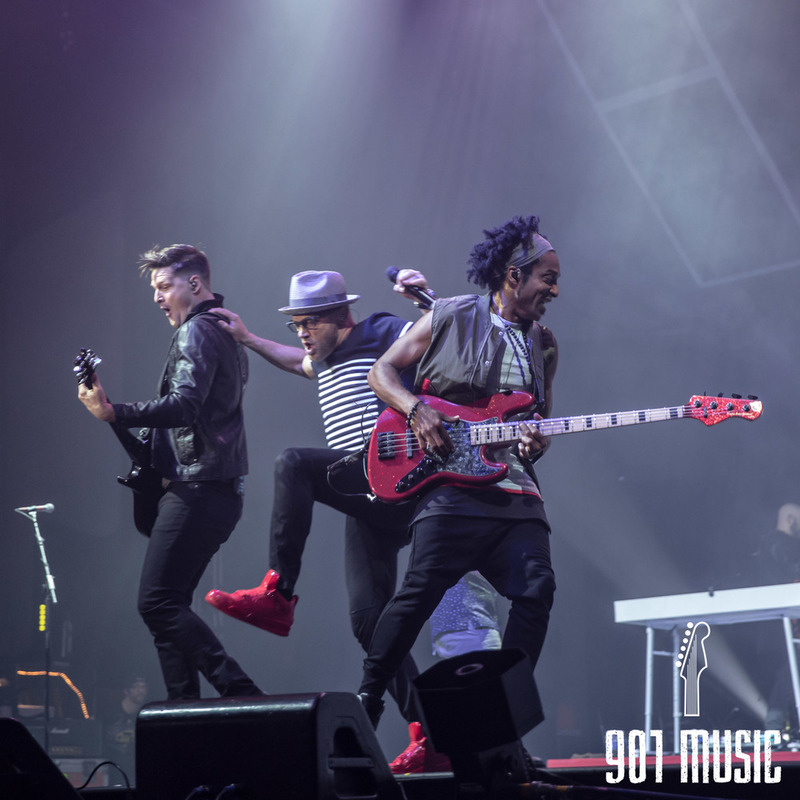 Much like a well written story, TobyMac finished his set with a resolution, bringing back the party atmosphere with his most popular hit, "Feel It." The concert came full circle and ended where it began. Every audience member was dancing and it was obvious that the fellowship, spoken of by B Holy, had come true. Every soul in the building was one, completing the goal of the tour. It truly was a uniting experience and I truly believe that many people left the concert changed in some way. Such a great experience, many thanks to TobyMac, Colton Dixon, and Britt Nicole for such a compelling performance.